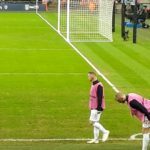 The English FA decided to recognise the achievements of its all time record goal scorer, Wayne Rooney, and Stars were fortunate enough to be there to witness it all. 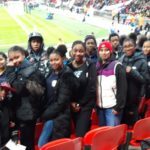 A group of 60 adults and young people ventured down to the home of football, Wembley, on Thursday to watch Rooney play in his final game for his country. For many of those in attendance it was their first visit to the national stadium.